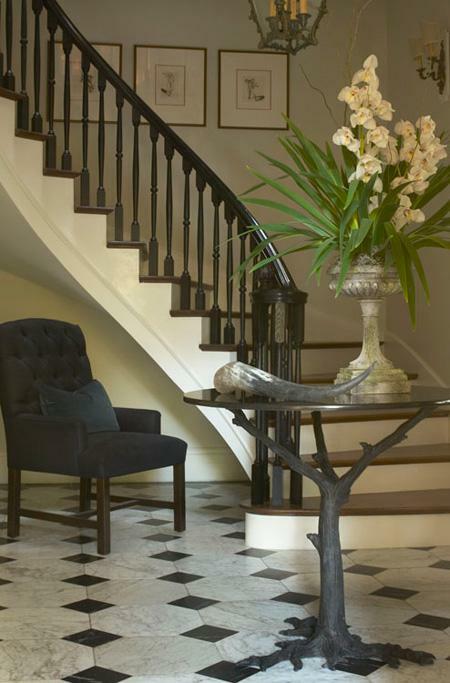 Antique Chandeliers, Rich wood Flooring, Vintage furnishings, slip covered sofas and a classic Settee are precisely ensembled in this georgian style home to create a sophisticated French Interior. 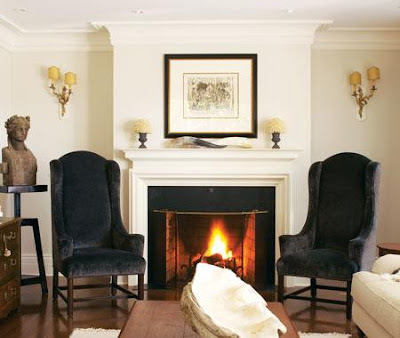 It is the home of Montreal Designer and Shop owner Julie Charbonneau, who specializes in highly refined French Style. 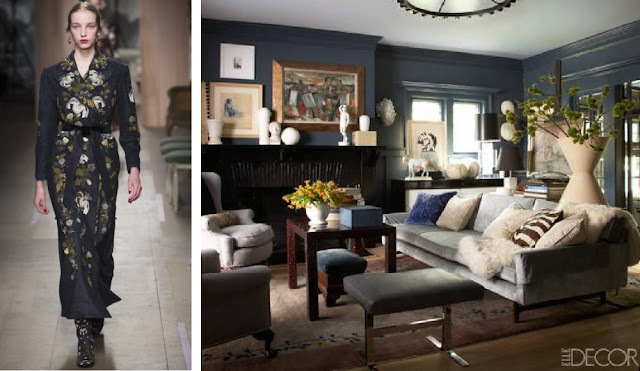 Take a moment to browse through her portfolio to admire some truly elegant and enduring style. The picture perfect room above has all the classic elements of French Style. 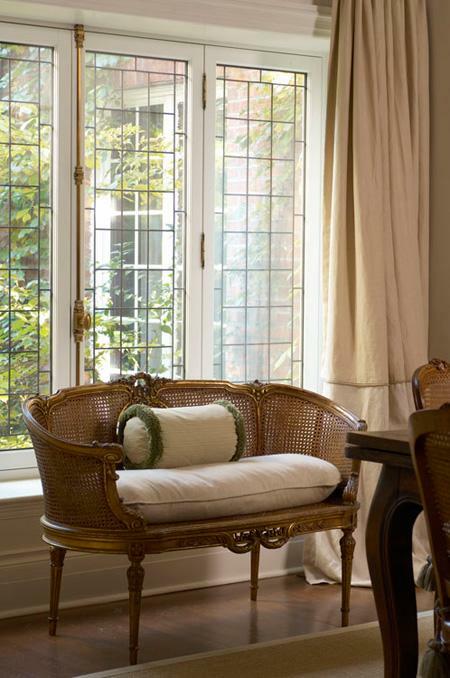 Some of the most notable features are the leaded windows that make a subtle but intersesting statement. The beatuiful Iron gate, whose other half flanks the other side of the window. And of course the incredible antique writing desk. This rooms is actually Charbonneaus luxurious office space. 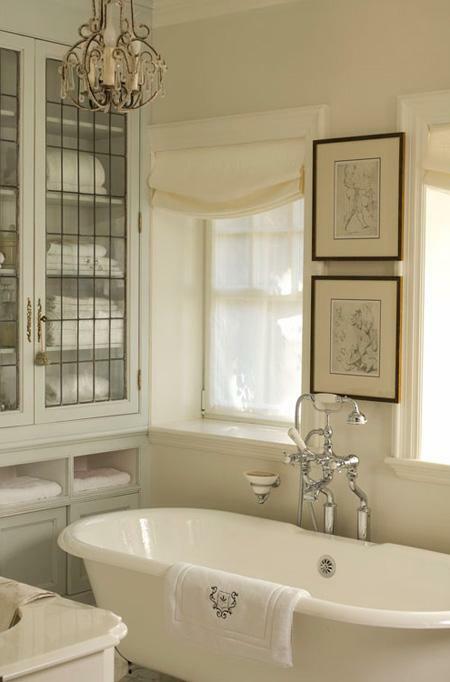 The master bathroom certainly feels like a French Boutique Hotel Spa. 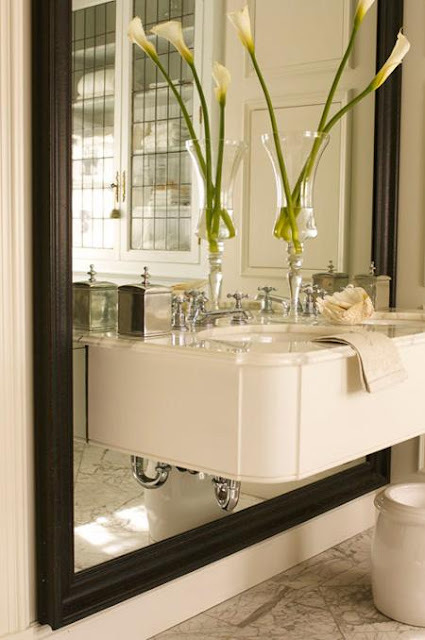 The full size floor to ceiling mirror with a pedestal sink mounted on it, reflect the beautiful antiques in this bathroom, as well as creating the illusion of grandeur. The custom cabinets have leaded glass inserts that were salvaged from elsewhere in the home, and a pedestal tub that is elegant and inviting. 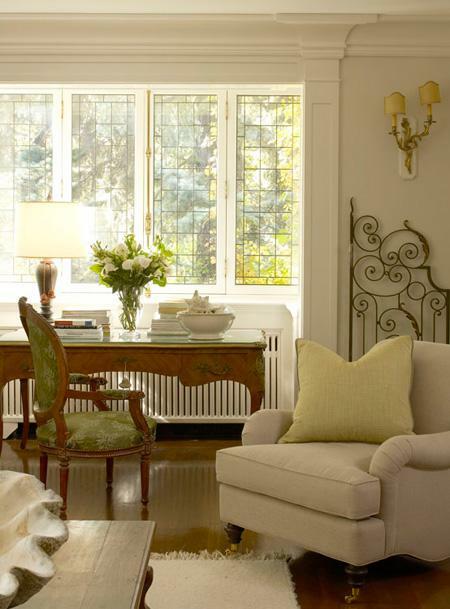 This residence, purchased for it's location in Montreal, as opposed to it's old charm, was completely revamped by the Designer. 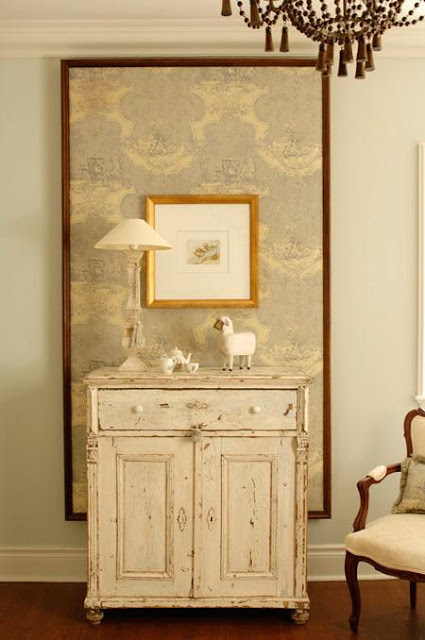 The soft white and gray palette add to the crisp and polished look as well as emphasize a wonderful collection of art and antiques.